(CN) – Attorneys general from 16 states banded together Friday to attack the third version of President Donald Trump’s travel ban. New York Attorney General Eric Schneiderman announced he and 15 other states and the District of Columbia filed an amicus brief with the U.S. Supreme Court opposing the third iteration of Trump’s controversial travel ban. “President Trump’s discriminatory ban both hurts the families caught up in the chaos of his draconian policies, and undermines our states’ residents, institutions, businesses, and economies,” Schneiderman said Friday. Trump signed the first ban only a week into his presidency, roiling the nation’s airports and creating chaos with immigration services. His first two travel bans, initiated via executive order, barred entry into the United States by travelers from seven Muslim-majority countries including Syria, Iran, Libya, Yemen, Somalia, Sudan and Iraq, though Iraq was removed from the second version. 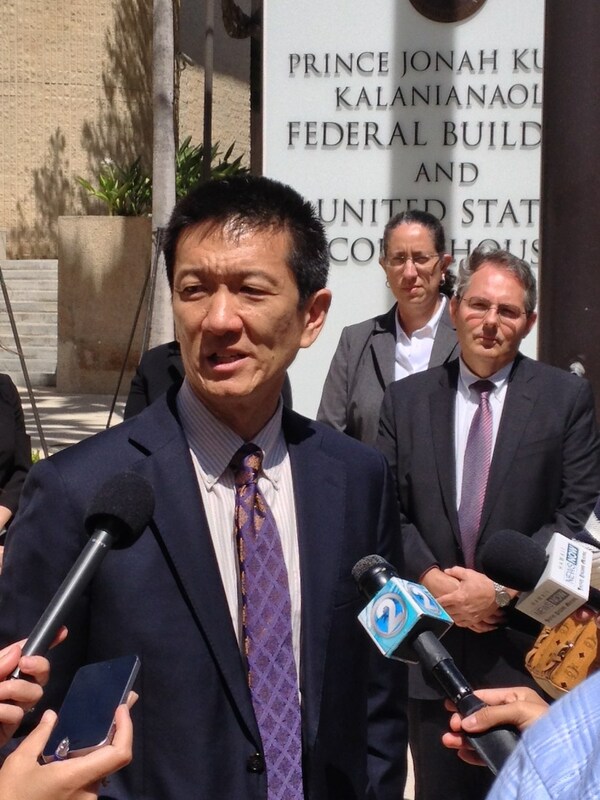 Hawaii Attorney General Douglas Chin sued the Trump administration and successfully lobbied a federal judge to block immediate implementation of the ban. The Ninth Circuit affirmed the preliminary injunction of the second version, leading the Trump administration to appeal to the Supreme Court. Right before oral argument, however, the Trump revised the ban to include North Korea and certain high-level residents in Venezuela in an effort to remove claims the travel bans were driven by animus toward Muslims. But Chin sued again, and again U.S. District Judge Derrick Watson in the District of Hawaii temporarily blocked implementation of the third version. The Ninth Circuit affirmed, and the matter is once again headed for the Supreme Court with oral arguments slated for April 25. In the amicus brief, the states argue the travel ban hurts their economies and universities, as professors, computer engineers and doctors and others hail from the countries on the list. “Like its predecessors, the proclamation’s entry ban gravely and irreparably harms our universities, hospitals, businesses, and residents,” the states say in the brief. The states also argue that Trump himself showed the ban was motivated purely by animus in statements made on the campaign trail, when he vowed to bar Muslims from entering the country. Hawaii and others argue the president cannot wield exclusions on the basis of religion or nation of origin without running afoul of both the U.S. Constitution and immigration law. The Justice Department has consistently argued the president has broad discretion under the nexus between immigration and national security and Trump’s order is within that discretion. Friday’s amicus brief follows others filed by the same coalition in previous cases relating to the ban. States signing Friday’s brief include California, Connecticut, Delaware, Illinois, Iowa, Maine, Maryland, Massachusetts, New Jersey, New Mexico, Oregon, Rhode Island, Vermont, Virginia, and Washington state. The attorneys general were not the only public officials to file a brief opposing the ban Friday. Mayors from 45 cities and the U.S. Conference of Mayors filed a similar amicus brief opposing the travel ban. The mayor is joined by mayors Rahm Emanuel of Chicago, Eric Garcetti of Los Angeles and Boston’s Martin Walsh. And a third brief filed Friday details the grievances of six different individuals who say the policy is draconian and has injured them and wreaked havoc in their lives. Fahed Muqbil, a doctor originally from Yemen, came to the United States so that his daughter – who has a severe birth defect – could receive critical treatment. Until recently, his daughter’s mother had not been able to visit. The ban also bars other family members from being with their relatives during the girl’s health difficulties. Five others describe similar difficulties. Some of the people named in the brief were born in countries included in the travel ban but have since become naturalized citizens of the United States. They say they have faced increased discrimination as a result of the travel ban. 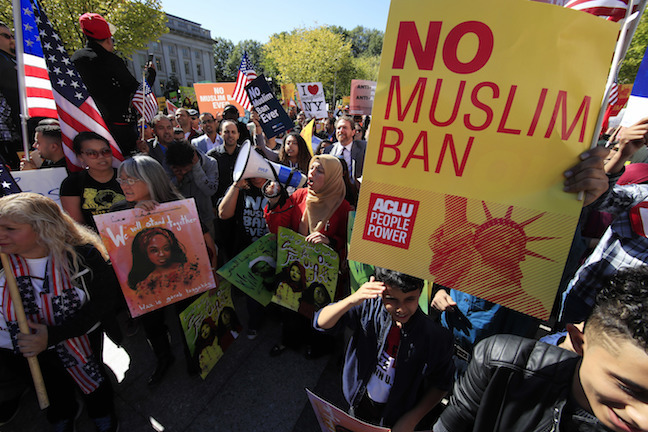 “Families across America are already suffering from the ban as their loved ones – spouses, siblings, children – face the prospect of physical and economic harm,” said Faiza Patel, co-director of the Brennan Center’s Liberty & National Security Program. The brief was filed with the help of the Brennan Center for Justice, the Council on American Islamic Relations, and the law firms of Paul, Weiss, Rifkind, Wharton & Garrison LLP and Profeta & Eisenstein.